They're back! Every year I am stunned by how quickly the summer flies by. To kick of the fall properly, we have loaded this newsletter with the perfect back to school goodies, healthy recipes your kids will love and alunch planner perfect for the entire family. If you over indulged this summer and fell off the health wagon, do not panic - you can quickly turn this around! Check out our phenomenal before and after photos below of husband and wife team for a little inspiration and motivation. And shhh... Shulman Weight Loss has a huge promotion to offer next month! Keep watching for some great savings to help you lose weight, burn belly fat and balance your hormones... naturally. A huge congratulations to Sheila and Mark for all the success they achieved with the amazing team at Shulman Weight Loss London! 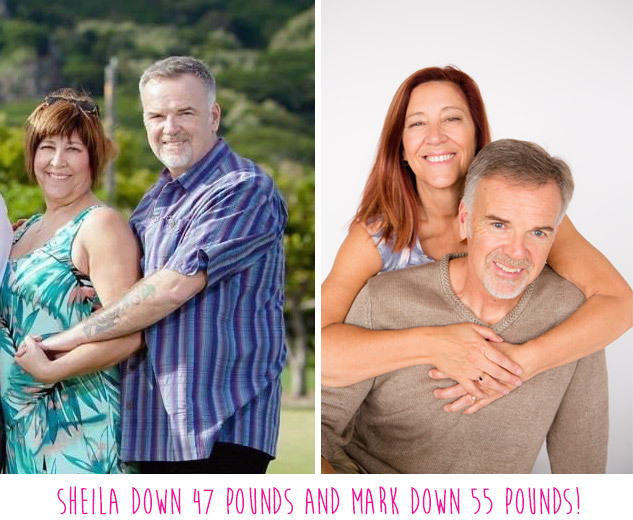 Sheila is down 47 pounds and Mark is down 55 pounds! That is 102 pounds down in one family! If you would like to finally take your weight off for life (and how can you not be inspired when you look at this before and after picture! ), we would love to help. To book in for your free weight loss assessment, simply call or email one of our three locations listed below. I know you can do it! 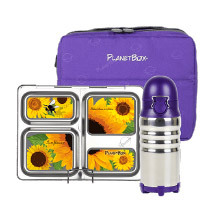 Get your kids excited about back to school with these customizable, eco-friendly stainless steel lunch boxes. Your kids can help decide the layout and magnet designs for their own lunch box keeping foods in separate compartments. 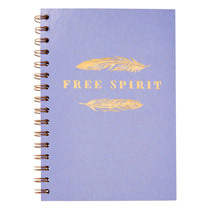 Does your tween or teen need a journal book by their bedside or in their bag? If so, Chapters-Indigo Books has an assortment of beautiful and cost effective journals good for the entire family to doodle as they please. 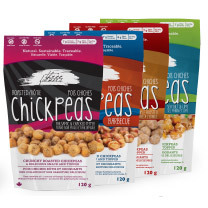 Roasted chickpeas by Three Farmers are crunchy little nut free snacks packed with fiber and protein - making them an ideal snack to curb hunger and keep blood sugars stabilized. They are also great to throw onto a salad and into soups to enhance your nutritional profile in a vegetarian friendly way. 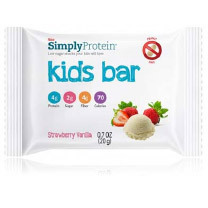 Finding a nut free bar that is healthy for kids was virtually impossible until now. Simply bars have come out with an option for your tots that is made with all natural ingredients, low in sugar, high in protein and fiber. In a large pot, place apples into 3/4 cup of water and bring to a boil. Once water has boiled, allow apples to simmer for 5-10 minutes, or until the apples are tender. Once tender, add lemon juice and cinnamon and blend using a hand blender (or standard blender). Add the remaining 1/4 cup water if necessary to get the smooth creamy consistency. Bring a large pot of water to a boil. Add the pasta and cook it until al dente (undercook slightly so it is still firm). Strain the pasta and transfer it to a large bowl to cool. In a small bowl, whisk together red wine vinegar, fresh squeezed lemon juice, garlic, oregano and olive oil. Add the red onions, tomatoes, cucumbers, black olives, green peppers and feta cheese to the bowl with the pasta. Pour the dressing over the pasta, tossing to combine, and refrigerate covered for at least 3 hours. Add all ingredients into tortilla and wrap tightly. Cut into 4-6 pieces. Please note: Feel free to change vegetables to some of your kids favorite options. Place tortilla or pita on a baking sheet. Spread sauce evenly and sprinkle cheese and vegetables over top. Bake for 12-15 minutes or until cheese is bubbling and edges are golden. Skip the added sugars ? Sugars are an immune suppressor, causing energy levels to plunge. Skip the sugary juices and snacks, and add a fresh fruit instead! Ensure a healthy balance ? Make sure to add a protein (i.e., egg, turkey slices, tuna, etc), healthy fat (i.e., avocado, sunflower seed butter, salad dressing), carbohydrate (i.e., crackers, wraps, pitas), fruits and veggies to ensure a wholesome lunch that will keep your kids energized all day long! Don't forget the water ? It is so important to keep your kids hydrated and without packed water, they may forget to drink throughout the day. Pack a reusable water bottle that they can fill up throughout the day. Get creative ? Keep lunches creative so your kids stay interested. Add different colours and textures and try new healthy snacks. Get your kids involved! ? Ask what your kids like and what they want to see in their lunches. That way, they are more likely to eat and enjoy what they have! We all know that kids need to eat right and get the nutrition they need to be their best all day long. So why not make lunches that will power their growing brains and bodies? 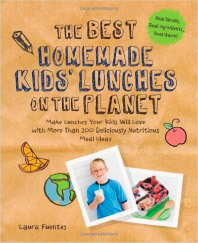 Full of recipes to suit every age and stage, The Best Homemade Kids' Lunches on the Planet shows you simple and easy to prepare foods that'll be the envy of the lunch table. The 200+ adorable and inspiring recipes will help make your life and food planning a little bit easier.